Random Anny .Com: Kids Have it So EASY! Kids Have it So EASY! 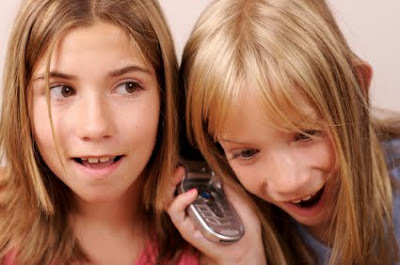 I remember (ab)using my best friend's three-way calling in eighth grade to makes prank calls. We'd look up names and numbers in the phone book (remember those relics?) and call pretending to be calling from the utility company. http://www.wheresmycellphone.com/ is supposed to be used to help you find a misplaced cell phone. Enter your number and it calls. There is just so much mischief to be had...or you know - phones to be found. I'll admit it. I had to go to the website and try this immediately. It works!